Business owners and start-ups if you can't qualify for a business loan but need working capital consider an unsecured Personal Term Loan: Loan amounts up to $100K Rates are 5 - 25% A one time fee applies to the loan amount. You need a personal credit score of at least 670 (650 with solid income). Eligibility and amount you can qualify for is determined not just by credit score, but also by credit history and quality. We'll review your FICO credit report then give you an estimate of the amount you'll likely get. 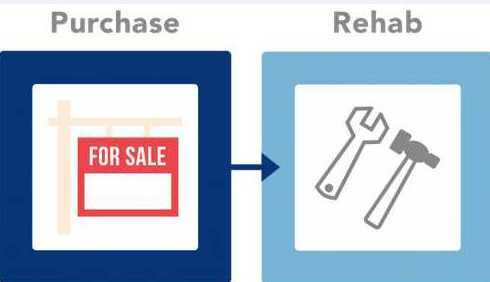 Real estate investors, if you need smaller amounts of cash to purchase and/or rehab properties, consider an unsecured Personal Line of Credit: Loan amounts from $20 - 50K (This is not a credit card program) Rates are 5 - 12% A one time fee applies to the loan amount. You need a personal credit score of at least 670 (650 with solid income). Eligibility and amount you can qualify for is determined not just by credit score, but also by credit history and quality. 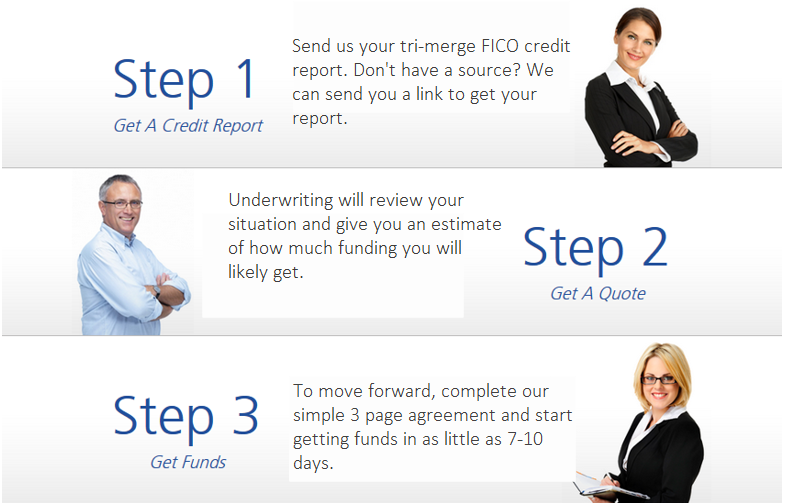 We'll review your FICO credit report then give you an estimate of the amount you'll likely get. To get started contact us. In message section write "personal LOC" or call us. To get started contact us. In message section write "personal term loan" or call us. Some of the personal unsecured loans we have closed for investors and business owners. To Get Started with a Personal LOC or Term Loan Contact Us! We Have One Goal - To Help Real Estate Investor & Small Business Entrepreneurs Grow Their Businesses!